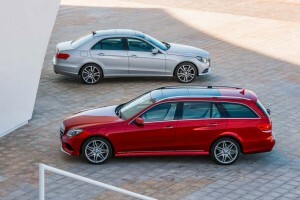 The ninth-generation Mercedes-Benz E-Clas debuts with the introduction of the E350 sedan and wagon. 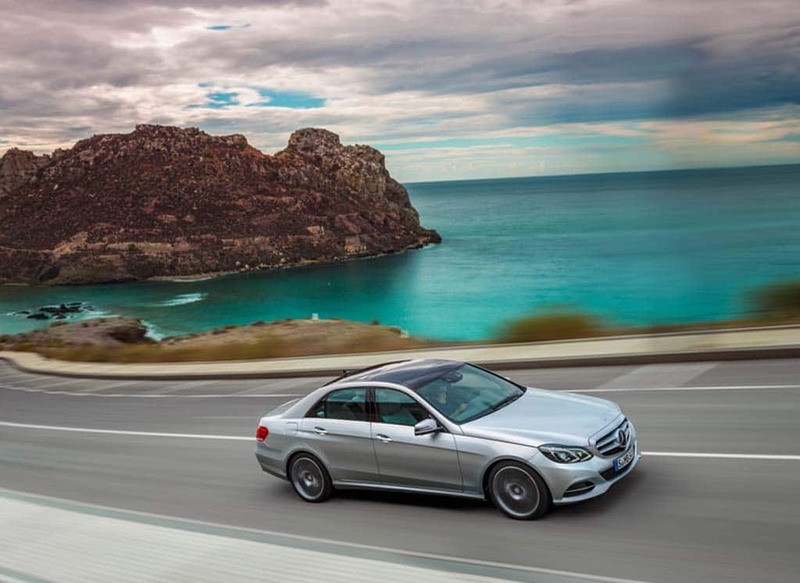 When it comes to the Mercedes-Benz E-Class sedan, familiarity breeds anything but contempt. 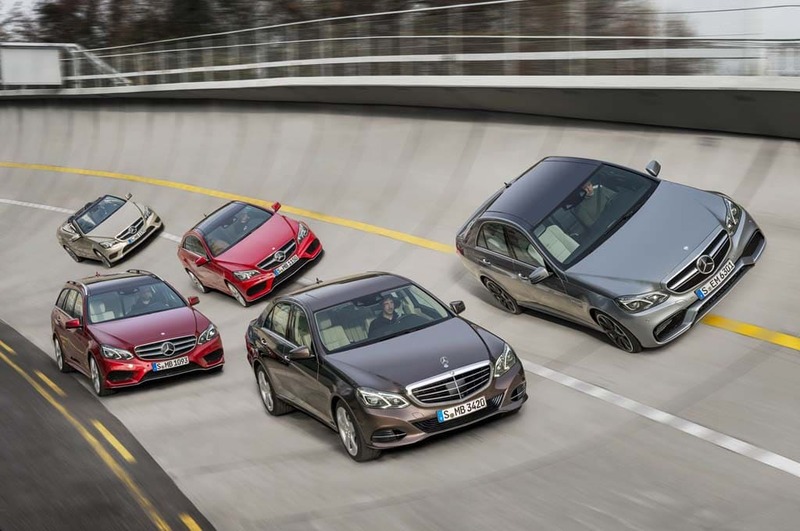 By far the most popular midsize luxury sedan in the market – indeed, in just about any market in the world – the midsize Mercedes has good reason to claim an intensely loyal following. Traditionally, while it may not have been the sportiest sedan in its segment, or the most stylish, it offers a mix of performance, features and grounded, Teutonic design that turned heads and led buyers to open their wallets, generation after generation. Charge up With Free Subscription! And now, the German maker is hoping to maintain its standing with an all-new ninth-generation E-Class that takes a step beyond the simple update many had expected. To get a better feel for just how much things have changed, we spent a day driving the 2014 Mercedes-Benz E350 sedan which, along with the E-wagon, is the first of a wide range of variants we’ll be seeing over the coming months. Mercedes has come up with two distinctly different takes on the 2014 E-Class, the conservative Luxury design, shown here, and the hipper Sport. First off, instead of working with incremental changes, Mercedes has elected to completely redo the exterior sheet metal for 2014. That’s most obvious up front, where the 2014 E-Class adopts a look more in line with where the rest of the Mercedes-Benz line has been going over the last few years, starting with single-lens LED headlamps. There are, in fact, two different E-Class faces for 2014. The Luxury edition features the classic, 3-louver Mercedes grille with the familiar tri-star hood ornament. But even the maker’s product planners anticipate the overwhelming majority of buyers will opt for the new Sport version, a more aggressive design with an oversized version of the star planted smack in the middle of the grille. The new E-Class interior features updated gauges, new vents and more soft-touch materials. Though the changes are not going to shock a Mercedes-Benz loyalist, they cover just about every detail down to the all-new wheels. New character lines enhance the 2014 E-Class profile and the rear fascia has been re-tooled, again, picking up a more familial Benz look. 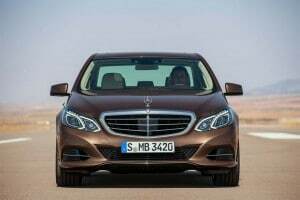 The overall impression is that the gen-9 sedan has gained a more contemporary look, while retaining the timeless elegance for which Mercedes stylists customarily have aimed. The interior of the 2014 E-Class was given a significant, if not complete, makeover that also gives the car a fresher look. It has a new instrument panel, with are more soft touch materials and knobs and switches that have been made more user-friendly. The gauge package is nicely updated and offers the driver quite a lot of information about vehicle operations. While product planners noted the new E-Class borrowed heavily from the technologies that will make their debut on the redesigned S-Class later this year, that didn’t include the reconfigurable display that will anchor the bigger sedan’s new gauge cluster. And, to be honest, it’s no loss. We tend to favor the traditional analog display, even in the sport version of the $65,000 E350 4Matic sedan I drove. The new E350 will get up to 30 mpg Highway. That said, we were surprised designers didn’t opt for a larger display for the infotainment system mounted atop the center stack. It’s relatively small when compared to some of the main E-Class competitors, such as Audi. One drawback, of course, is you have look twice to verify points on the map. But Mercedes also offers voice-guided, turn by turn route instructions. The car does come loaded with almost every other comfort and convenience feature you can imagine, including push-button start, dual zone climate controls, an impressive heated and cooled power seat package, and a terrific sound system. Eventually, you’ll be able to order the new Mercedes E-Class with a wide variety of powertrains. 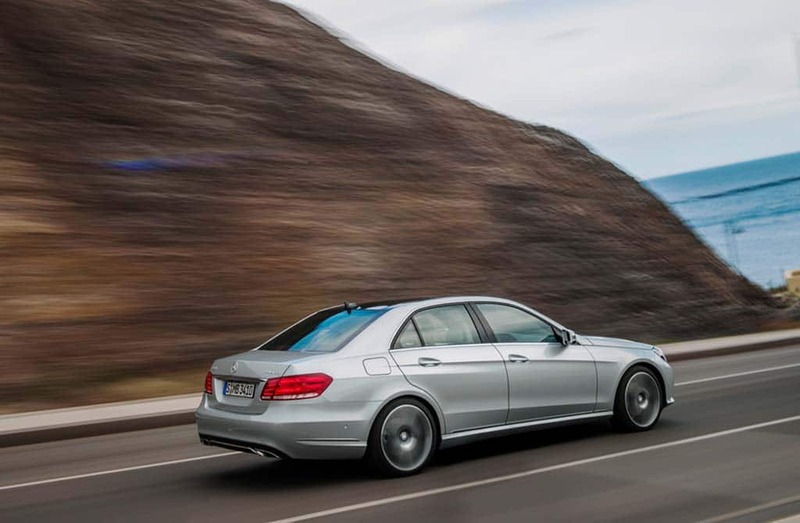 For the U.S. market, that will range from the E250 BlueTec diesel up to the V-8-powered AMG monster. For launch, the maker decided to stick with its most mainstream offering, the 3.5-liter V-6 that makes up the vast majority of sales. Producing 302 horsepower and 273 pound-feet of torque, it is paired with a new 7-speed automatic gearbox and can be ordered in either rear-drive or 4Matic all-wheel-drive configuration. The E-Class sedan and wagon body styles will be the first to market in the U.S.
It’s a reasonably gutsy engine with plenty of power for even aggressive high-speed passing maneuvers. The engine also performs quite effortlessly at cruising speed and the 21 mpg City, 30 Highway – and Combined 24 mpg — rating from the EPA is still pretty good for a big luxury sedan. I also found the ride and handling of the E-Class impressive, appreciating the ability to shift between Comfort and Sport modes as road conditions and my need for speed dictated. Reviewers love to rave about BMW 5-Series ride and handling, and there’s little doubt the E350 is more of a classic luxury machine. But that doesn’t mean its ponderous and lumbering. It holds the road closely even over the choppiest of pavement and the brakes. But switch to Sport and it also gives you a pleasing confidence during aggressive cornering maneuvers. Mercedes engineers have come up with an interesting electromechanical system that blends both power and electric steering into one package that is both precise, invariably reliable and offers the driver plenty of fee back without requiring a fight with the steering wheel when traveling over less than smooth roads. The steering especially made the E-Class a lot of fun to drive and blends nicely with the car’s suspension system. The brakes, meanwhile, are excellent, which I quickly concede is something you would expect from a car in this price range. Mercedes-Benz eventually will offer a wide range of body styles and powertrains, including coupe and cabriolet models. Some of the most impressive technologies offered on the new sedan can be found in the lengthy list of advanced safety features. Many of these are options, but even the systems offered on the “base” car are impressive and likely to pull many owners out of dangerous situations. The new E-Class Intelligent Drive system adopts a “sensor fusion” approach blending signals from a variety of radar and sonar sensors, along with a new stereoscopic system mounted above the rearview mirror. Available on the E-Class are features such as Mercedes’ “Distronic Plus with Steering Assist” which can help the driver keep the vehicle centered in its lane and can semi-autonomously follow in-lane traffic. The latest version of Brake Assist is now able to detect traffic coming from either side at an intersection – helping spot someone running a red light, for example – as well as pedestrians. There’s even a new system that can spot a likely rear-end collision and prepare the car’s safety systems, tightening up seatbelts, for one thing, then firmly apply the brakes to keep the car from being pushed forward, possibly into yet another vehicle. 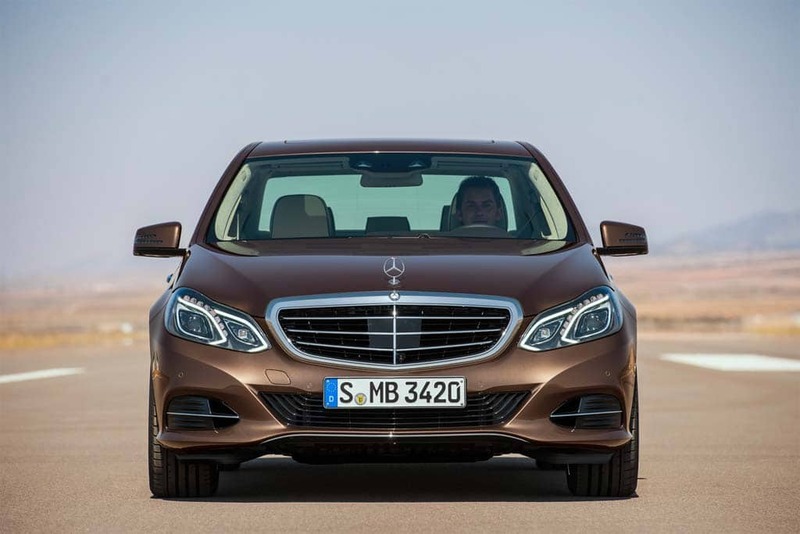 The Mercedes-Benz E350 – like the rest of the E-Class line-up, has long been a favorite with luxury customers because of its power, elegance, safety features and luxurious ambiance. If anything, the 2014 might be said to deliver more of these good things – which is all right with us and, we suspect with plenty of other potential customers. Paul A. Eisenstein contributed to this review. This entry was posted on Thursday, June 13th, 2013 at and is filed under Automobiles. You can follow any responses to this entry through the RSS 2.0 feed. Both comments and pings are currently closed. I personally have not enjoyed the styling direction Mercedes has taken in recent years with their light pods. In a need to look “hip” they have really undermined the nice body styling cues, IMO. A good V-6 with a 6-7-8 speed trans should provide all the power that most people desire along with excellent mpg – but we’re all paying for these new 7-8 speed trans required to try and meet the 54.5 mpg CAFE mandates.